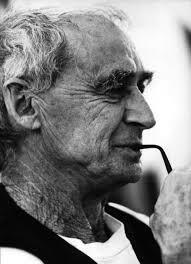 April 9, 2013: I just learned that Paolo Soleri, architect, visionary planner, hands-on builder, bell maker and poet-philosopher has died at the venerable age of 93. 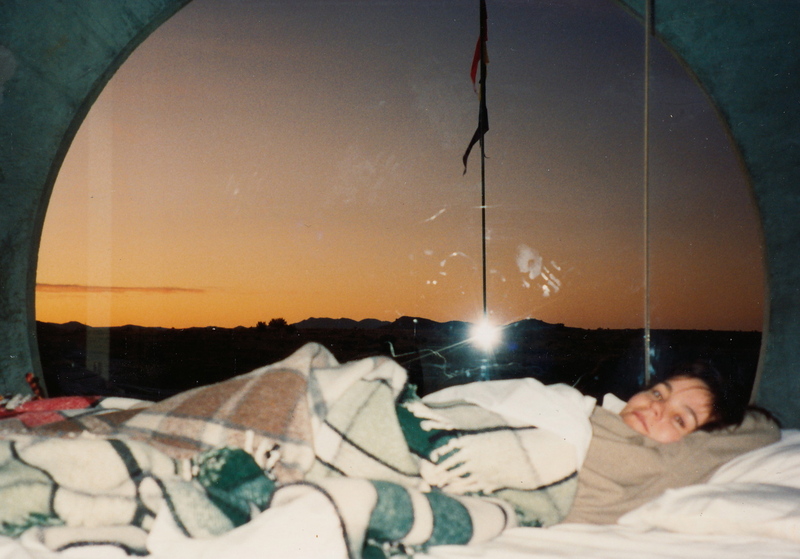 He was a wise man of the desert and every time I met him it felt as if all of my assumptions were rewashed and hung out to dry. He often spoke in rambling non-sequiturs that only made sense if you stopped thinking and just listened to the rhythms and wavering inflections of his voice. He will be greatly missed by anyone and everyone who believes in an alternate, sustainable and sensible future for our planet. I wrote the following after a visit with Dr. Soleri at Arcosanti in the summer of 2001, two months before 9/11, and all of his words seemed particularly prescient in the aftermath of that day. It begins to feel as if some spirit force were pushing the rented Capri up towards the black mesa. The sun has just set behind the outlying malls with a garish display of crimson and ochre streaks. Further out from Phoenix there are blobbish silhouettes of Big Horn and Cypress Butte dissolving into desert mist. I drive straight from the airport, north on Route 17. “Purple Haze” begins to play on the radio and by the time I reach the rutted turn-off to Cordés Junction, Hendrix’s words sound like predestination. 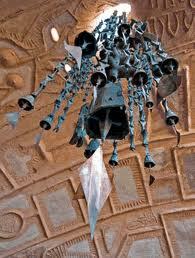 On first impression Arcosanti looks like a ruin, all starts and stops and unfinished business. There’s only a single light bulb glowing, but I can make out a few vague shapes, the looming silhouette of a tower and a crescent-shaped berm. I’m greeted on the ramp by a skunk who flashes his tail and scurries into the shadows. A willowy New Ager appears out of a doorway and shines a flashlight on my face. “We’ve been expecting you,” she says with a sleepy smile. Her name is Sandy and she’s wearing a breezy cotton dress–not hippie at all–blonde hair cropped short. 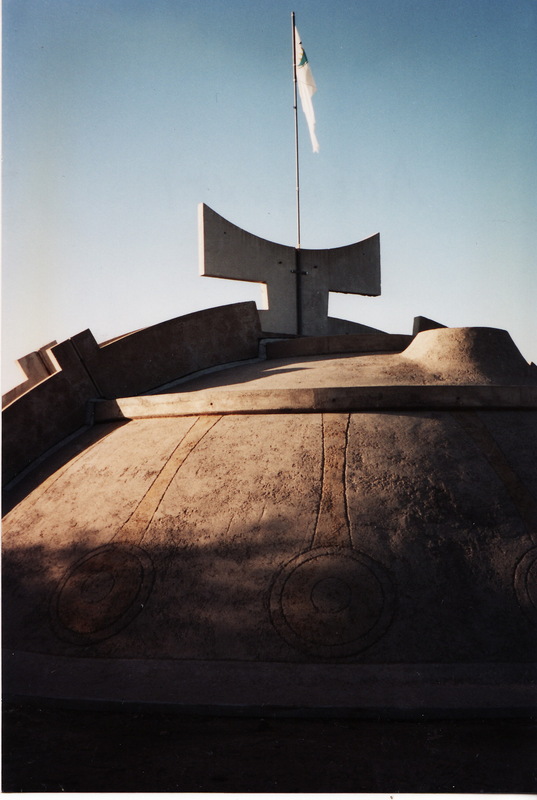 Everyone at Arcosanti is apparently asleep or wandering in the blackened desert, so she speaks in a whisper that only adds to the spaciness of my arrival. I follow her past a cluster of dwelling pods burrowed into the side of a canyon, and along a terrace that seems to be leading directly towards the twinkling nodes of Ursa Major. The concrete has been cast into capricious vaults with one level appearing to push through the next. I have the impression that there are other such vaults, even more layers, stacked and crumbling from beneath the earth and towards the sky. We reach an esplanade that slopes inward with flowers and ornamental trees growing from concrete containers. The walls are streaked with red and yellow as if they had been tie-died. 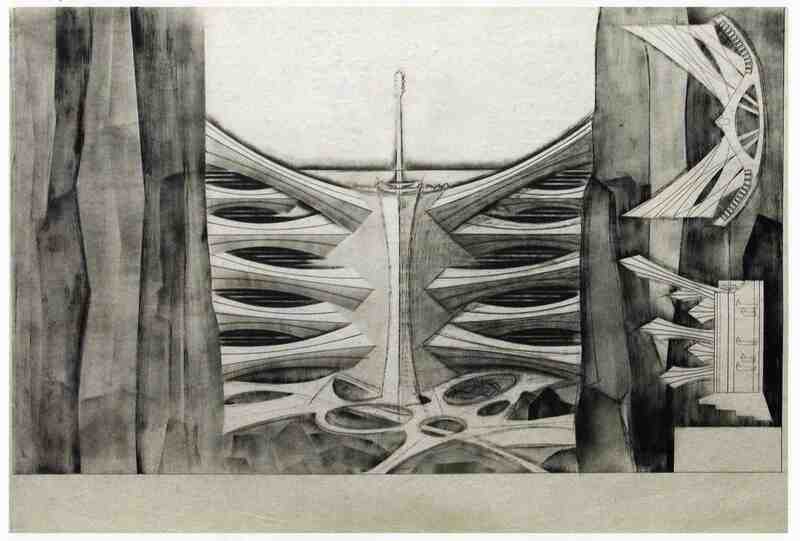 For most of his 60-year career, Soleri, (82 at the time of this writing), has been perceived as a cult figure on architecture’s freaky fringe. But what was once dismissed as counterculture dreams has come up again for reappraisal. 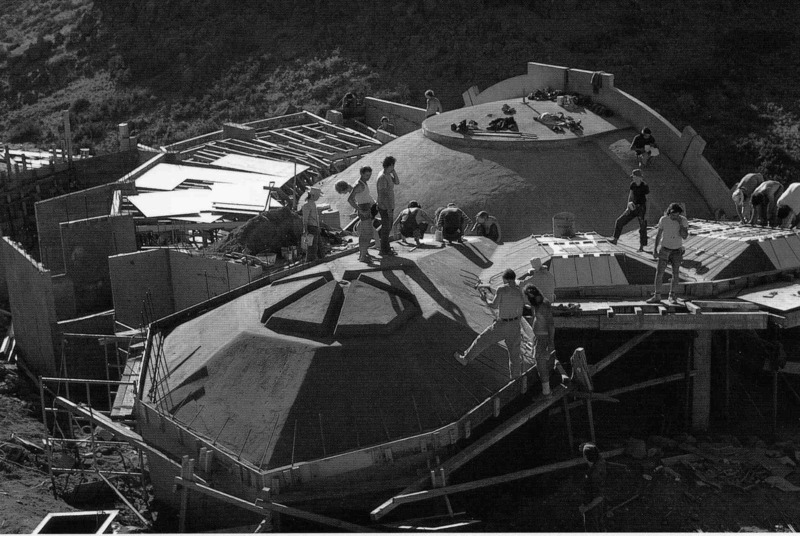 He began building Arcosanti in 1970 with observation towers, sweeping concrete vaults and dwellings clustered along the steep basalt cliffs of the Agua Fria River. It was conceived as a prototype that would show how other cities might minimize energy use and motor transportation while encouraging human interaction. 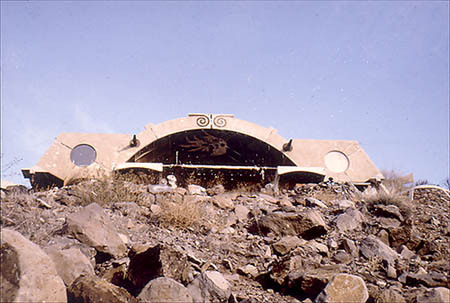 By concentrating inhabitants in a sequence of partly submerged multilevel structures, he sought to preserve the wildness of the surrounding desert landscape. Greenhouses provide gardening space and tap warm air for heating. 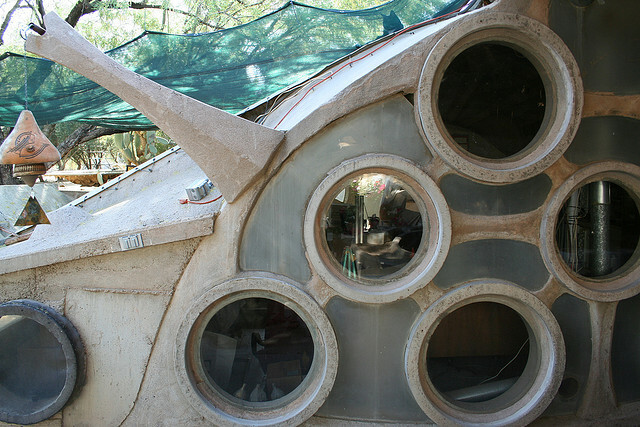 “Our mission at Arcosanti has been to bring the city up to date, socially and culturally,” he said, “to create an antidote to sprawl.” Thirty-one years after Soleri founded his desert compound, the rest of the world may finally be coming around to his environmental philosophy and pedestrian-oriented planning. 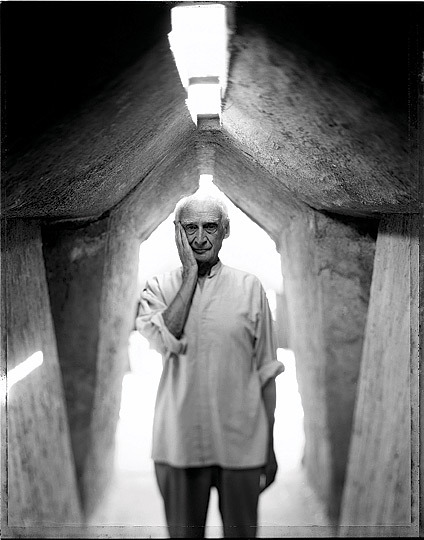 Last year, he was presented the Golden Lion Award by the Venice Biennale for a lifetime of achievement. 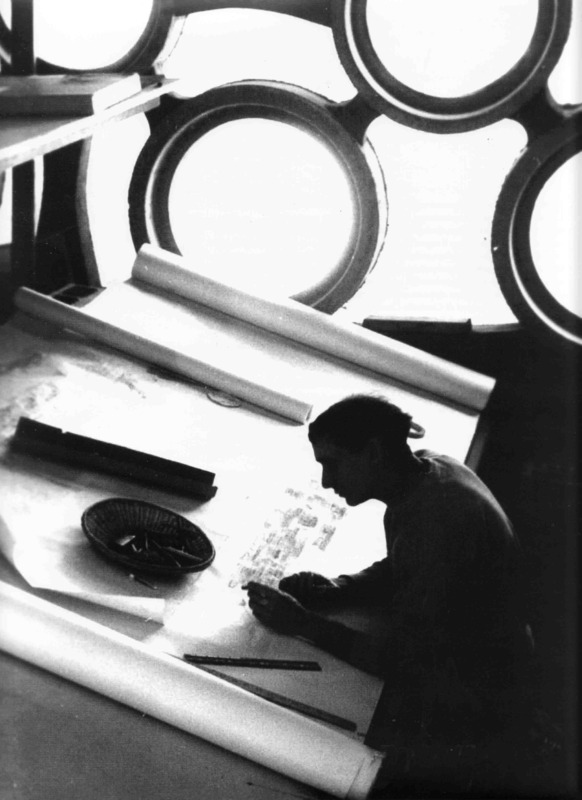 “They rediscovered me 40 years too late,” Soleri said, smiling. The pathway forks. 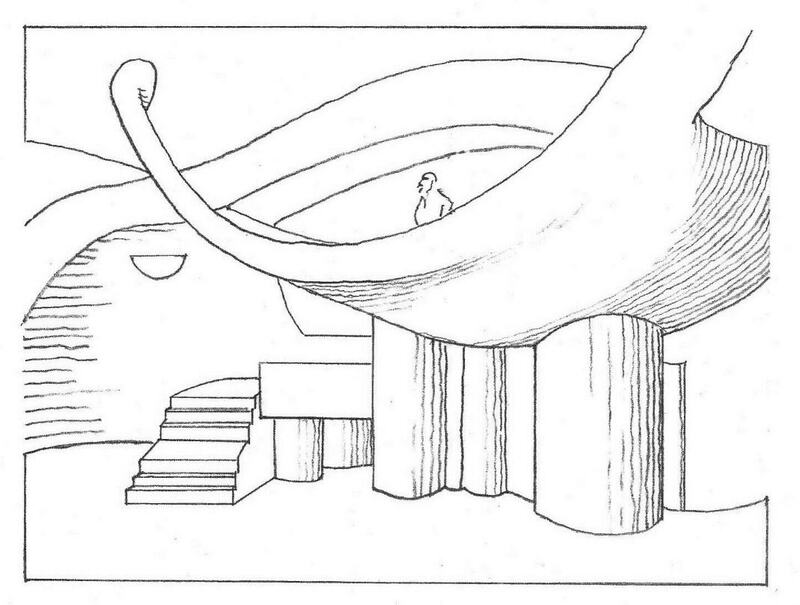 One branch descends, the other snakes through a colonnade of sloping columns. Sandy leads me up another set of steps and we arrive at the Sky Suite perched at the top of the complex. I was hoping she might stay and chat, but she hands me a candle and a blanket and slips back into the night. The room, this giddy “sky nest”, is saturated with familiar smells: musty and nutty but sweet like incense and sage and something slightly stale like old bee’s wax. I’d expected a much more cluttered space for some reason, not so Spartan, and I can imagine the earliest occupants crawling around like modern aborigines waiting for the sun to rise, cross-legged in a circle or making love on the floor. 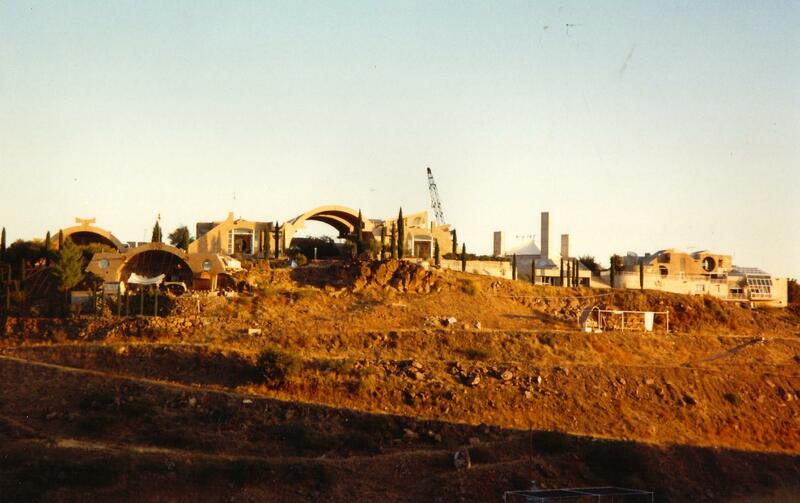 I never visited Arcosanti during its heyday, but I had several friends who came out here as “workshoppers,” to mix concrete and help shape these organic forms and I always envied their experiences. 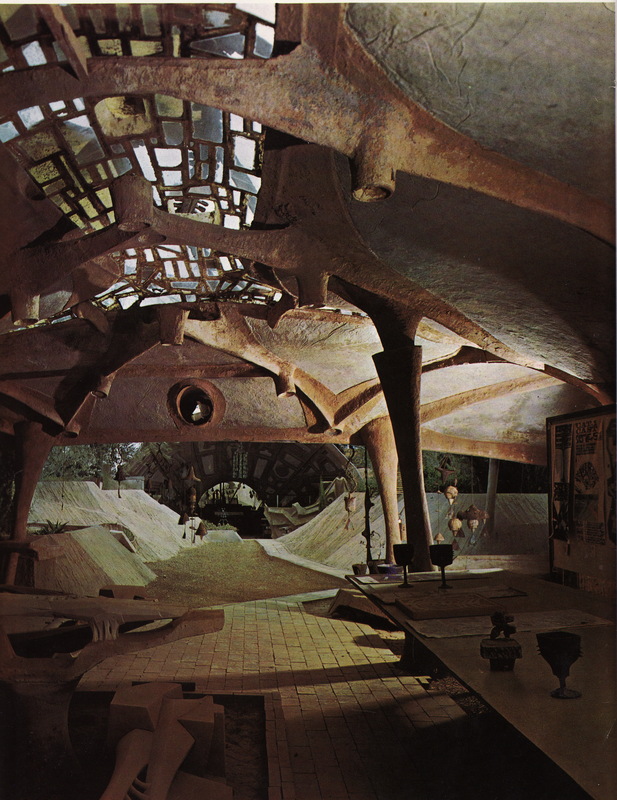 Soleri wanted it to be a densely inhabited living node without cars, for more than 7,000 people, self-sufficient and sustainable. 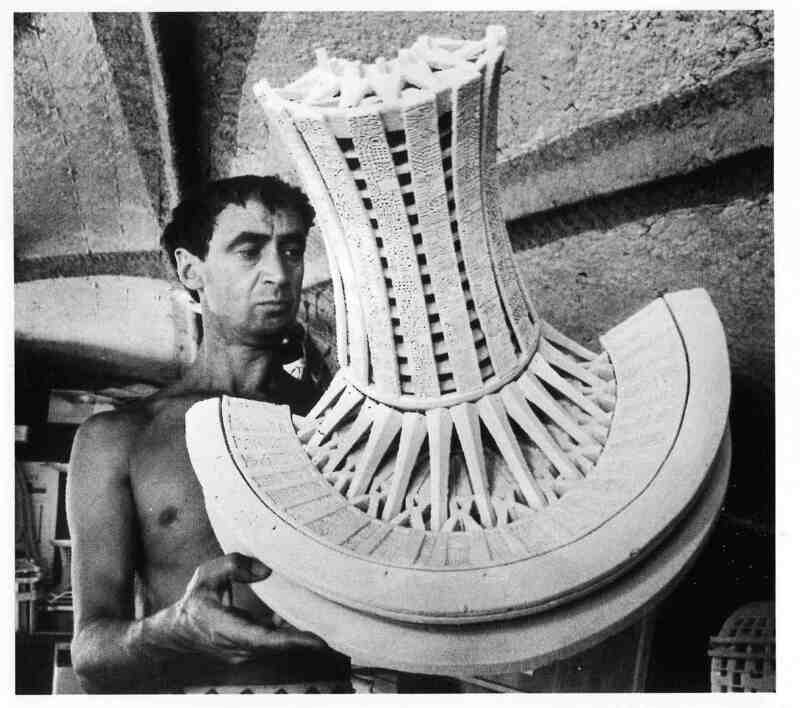 Unlike most visionaries, however, the Italian-born architect didn’t just write about it, he actually came to the desert and like some Old Testament prophet, started to build the thing with his own hands. I’m glad I came. 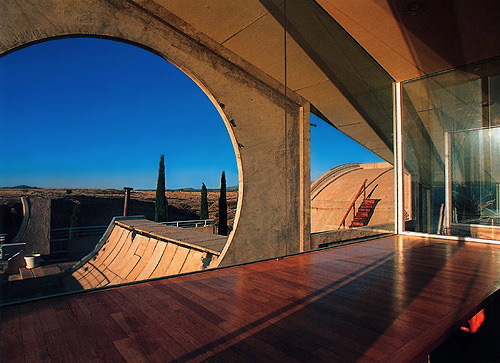 I lie on the bed beneath an eye-shaped window and gaze out at the stars. Part of me feels at home, calm, even safe. Another part of me wants to check in to the nearest Marriot, and call my wife but there’s no cell service out here. “Why bother with that hippie crap?” said one friend before I left New York. I certainly hadn’t anticipated this sense of wellbeing. There are all the smells and the sense of intimacy–so familiar–and the untethered sense of space, psychedelic, sexual, hallucinatory and drifting. For a moment it all comes back: the feeling that you are everywhere and nowhere at the same time. I thought I was pretty well grounded against the old spatial flux but feel something slipping, loosening within the soft folds of my cerebral cortex. What is this feeling of heightened expectation, believing that anything was possible? At the time it was easy to dive into the globular ectoplasm of fuzzy humanity. It felt good, being absorbed into the amoebic movement, swelling and spreading: Got a revolution! sang the Jefferson Airplane, turning noun into verb, but it felt like a real war for a while–them against us, armed with verbs–and somehow, we would win. For some, the moment of surrender came with the break-up of the Beatles. For others it was the bloody insurrection in Chicago, the pool-cue assault at Altamont, the Manson murders, or the Watergate hearings. That which had seemed epic now seemed mocked and marginalized, almost inconsequential, reduced to a cliché. Yippies became Yuppies. Cocaine replaced LSD. Disco ascended the charts as did big hair and heavy metal and most of us were left with an oddly hollow feeling of withdrawal, emotional coitus interruptus. How do we go back if we don’t know where to begin? Tim Leary spoke about a Magic Theater and the Beatles sang of Strawberry Fields. Carlos Castaneda, in his best-selling fable about peyote, wrote of the sitio, a place of psychic strength. Griffin, a wandering hippie mystic got it right when he said: “All the lines and dots intersect at any dot.” No matter where you are, you’re always at the center of the universe. 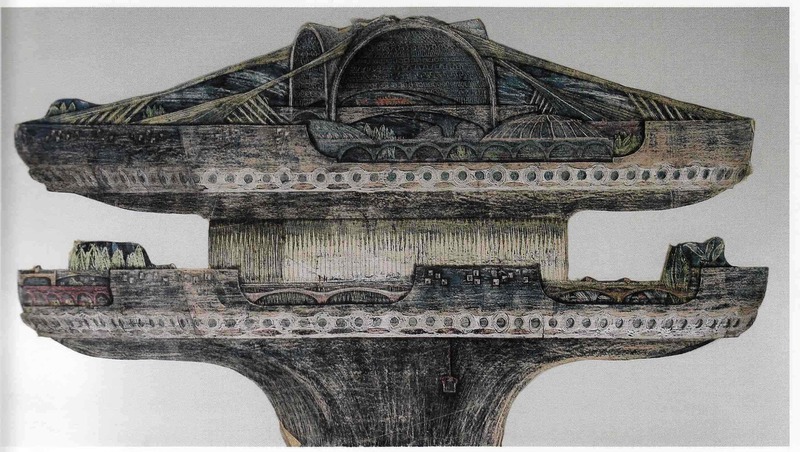 The biomorphic sinews of Soleri’s desert outpost have somehow survived into the opening decade of the 21st Century so it seems like a good place to start. At least it’s still here as a place, as an idea. I see the constellations and a wavering line on the horizon where a distant butte rises from the earth, but it’s too dark to see much else. I hum the same throbbing Hendrix riff that was playing in the rental car: Duhn, dihn… Dunh, dihn... and drift into a sweet, numinous sleep.